It is vitally important that you determine what it is that you are trying to accomplish. Implementing project management software is not the same as implementing project management. You will need to identify what you are trying to accomplish so that you can not only choose the right software, but also implement the right processes to accomplish those items effectively in conjunction with the software. One of the best ways to do this is to get feedback from others and identify two to three key problems that you need to solve, such as a lack of communication, key items slipping through the cracks, a lack of innovation, or constantly “fighting fires.” After that, create some key business cases that will help you solve these. A business case is a process that you will perform, in this case with the software tool (i.e. “create a project from a standardized template to reduce missed steps,” or “viewing all active projects to foster communication”). A good vendor will give you guidance on matching your problems with good business cases if you are having trouble. Despite the breadth of available tools, project management software can be broken down into the following four main categories. Determine the appropriate tool category, and then generate a list of products in that area by performing an Internet search and reviewing web sites. Existing in-house software: this refers to existing in-house tools such as MicrosoftÂ® Excel that could be used to facilitate project management. Individual software: this refers to purchased tools to manage individual projects by an individual person. Medium-sized systems: this refers to tools that are designed to be a central project management system for small to medium sized organizations that contain some of the features, but not all of the complexity of a high-end system (these may be hosted by the vendor or installed by you). High-end systems: this refers to systems that are designed to be a central project management system for a large organization, such as an entire Fortune 500 company. You can find on our site a list of free project management tools if you need. What does the software do? How will it facilitate your key business goals and cases? Is it easy to work with the vendor? Do they focus on your project management needs, or are they just interested in selling software? Will the software be used? How easy will it be to perform the relevant business cases for your average team member? What training options are available? Is there online training? Is there personalized training from the vendor, either remotely or onsite? Obtain a feature list from the vendor. Ask the vendor (if they have not already offered) for a phone consultation. Use this as an opportunity to communicate your key needs and goals to the vendor, and find out how the vendor recommends using their software to meet those goals. Ask for a personalized demonstration. This can often be done remotely and will enable you to learn more about how the software works, and how it specifically addresses your key business goals and cases. Download or sign-up for an evaluation. You may be able to download a trial version of an individual product, but you will more than likely have to sign-up for an online evaluation of medium-sized products. Regardless, do this and run through the business cases and perform your own hands-on evaluation. Ask for a written cost summary from the vendor, and ensure that it includes the initial purchase, any recurring maintenance and support fees, as well as any implementation and training fees. Based on what you have learned, make your selection. It is sometimes helpful to create a matrix of the systems you are looking at with key information about each system, such as business case execution, ease of use, how well the vendor works with you, pricing, and other information. Once you have made your selection, that is just the beginning. You are now embarking on the process of implementing the software you have selected, learning how to use it in relation to what you are trying to accomplish, and incorporating it into the day to day operations of your organization. Installing project management software is not a magic solution, but it can be a very helpful tool in the overall quest to help your organization perform better, and be more competitive through better project management. 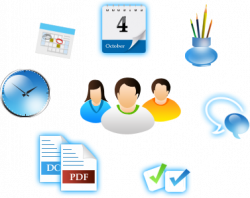 For more details about online project management tools and collaboration software, visit www.web-based-soft.com. There are a lot of tools nowadays which are really looks similar. I think these great advices can really help you to choose the right project management software. I had to try 4 or 5 tools until I decided to choose Comindware which is really actual for my work processes.